And speaking of family photos, I just ordered my holiday cards from Basic Invite this year and wanted to tell all of you happily engaged couples about their wedding invitations! 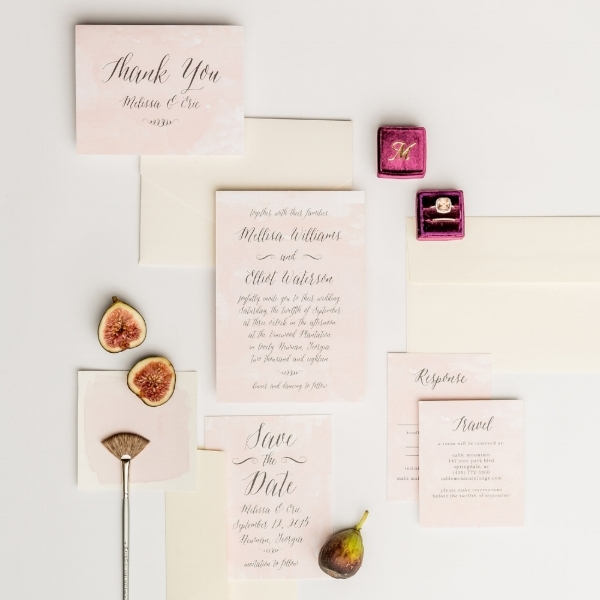 I've partnered with Basic Invite to spread the word about their lovely custom printing services. I always recommend Basic Invite to my brides, family clients, and graduating seniors. It’s also one of the few websites that allows customers the ability to order a printed sample of their actual invitation so they can see exactly how it will print as well as the paper quality before they ever have to place their final order. They have over 40 different colors of envelopes available so that you can make your invitation stand out even before it is opened. Even better, all of their envelopes are peel and seal so the envelopes can be quickly and securely closed. No licking envelopes for you! If you're anything like me, collecting addresses is such a pain. I still have half-addressed cards sitting in my drawer from last year. I love that Basic Invite has a free address collection service to request your addresses with just three simple steps. Share a link, collect addresses, and get free envelope printing! And last but not least, Basic Invite has wedding websites that are completely customizable just like their wedding invitations! They are mobile friendly and super easy to use. You can instantly upload all of your wedding details along with images and a map with directions which is super convenient for your guests. Choose from 180 custom colors and even choose a design to match your wedding invitation suite! Images provided by Basic Invite.